Edinburgh is the capital city of Scotland and home to its Parliament. The city has a natural scenic setting and has been described as one of the most beautiful cities in Europe. Home to many historic buildings, the most famous attraction is Edinburgh Castle, drawing many visitors from around the world. This compact city of half a million is known for its hilly setting, history and tradition while also boasting a thriving contemporary arts and culture scene. The city hosts a number of international festivals, and its art galleries, unique shops, and restaurants give it a very cosmopolitan flavor. It is also a university town, enrolling 100,000 students in several universities across the city. This program is based at Edinburgh Napier University, a modern institution spread over three campuses enrolling 18,000 students. ENU is known for its practical bent, with a focus on curricula and training for 21st-century employment. HWS students will study alongside local Scottish students and other international students for an integrated learning experience. As do other British universities, ENU provides students with the opportunity for self-directed study and research under the guidance of faculty mentors and instructors. To enhance the cultural experience, study abroad students may join any student society, club, or sport offered by ENU and may also sign up for outings to arts and cultural events in the city through the Student Union. For specific information about courses, please consult the ENU course catalog here. Note that you must ensure that the course you want to take is offered in the semester for which you are applying. Students applying for the fall semester should look for courses offered in Trimester 1 while those applying for the spring should look for courses offered in Trimester 2. Please note that there are various restrictions on courses that visiting students can take so be sure to read the guidance notes at this link so that you know which courses are restricted. For instance, students may not take SCQF 11 courses because these are graduate courses. The standard course load is comprised of three ENU course modules, for which students will receive 4 HWS credits. Due to the wide range of courses offered through ENU, this program can accommodate students from a variety of disciplines. It will be of particular interest to those interested in computer science and technology, physics, English literature, sociology, criminal justice, and music. Students live in residence halls with other international students about a 15-minute walk or short bus ride to the Merchiston campus, a bus ride away from the other two campuses and about a 20 - 25 minute walk or short bus ride from the center of Edinburgh. A typical residence provides fully-furnished single rooms grouped around a shared kitchen, bathroom, and common room. While students typically prepare their own meals, there are also a number of places to eat on campus. 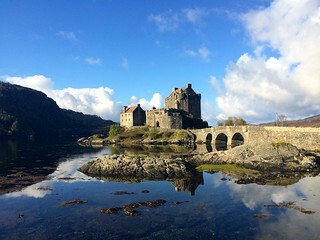 The Edinburgh program is not a “study abroad program” in the traditional sense in that HWS students will be directly enrolled at the university. While there will not be excursions designed specifically for HWS or study abroad students, ENU does plan some outings in and around Edinburgh for international students and there are student travel agencies nearby to assist those planning their own travel. In addition, the university has an extremely active Student Union which plans a variety of educational, cultural, and travel opportunities to which all students are invited to participate (fees will vary). Independent and self-starting students will have a multitude of opportunities to immerse themselves in the local culture and to explore Edinburgh, Scotland, and beyond. Students will be charged standard HWS tuition and fees, room fees, and a $600 administrative fee. This will cover tuition for a four-credit semester, health insurance, airport arrival services, housing, and orientation program. Note that no HWS board charge is included. Students should plan to bring their board fee to cover meal expenses throughout the program. While meal expenses will vary according to individual tastes, we estimate that $2200-$2400 should be sufficient for students who prepare their own meals. (During the spring semester, students should plan on $2600—$2800 for meals due to the longer semester). Additional expenses not covered include airfare, books, visa (recommended), and personal expenses (laundry, entertainment, ground transportation and independent travel). We estimate airfare for this program at $1000—$1200 from the East Coast, books at $250, and visa at $125. It is difficult to give an accurate estimate of personal expenses because student spending habits differ considerably. We would suggest a minimum of $1500 above and beyond meal expenses. However, students on a tight budget should be able to manage with less. If you are concerned about finances, we strongly encourage you to talk to the CGE staff who can offer information and advice based on your specific situation.